#Isles Transaction: Jaroslav Halak has cleared waivers and been assigned to Bridgeport. Islanders website: Snow had some additional comments on Halak/goaltending situation. Halak is the best goaltender in the organization by a mile. Greiss despite his strong play is a career backup, and Berube was risked to waivers for Jonas Enroth, who is also now on another NHL team. Halak came to New York in August for a clinic in Long Island City, went to the World Cup Of Hockey, and was the tournaments true MVP, who almost carried them to a title, he was dominating. He came to what was left of Islander training camp (with team Europe backup, Greiss) at that level. The issue should have been decided at that point with Berube going on waivers to play in Bridgeport, despite Gibson, Williams, McAdam signed there. Sorry, but Capuano went well past his not commenting on goaltender mantra vs Wild to throw Halak under the bus. He won the five of six games, and beat Pittsburgh, Rangers, Washington, with solid goaltending facing 30-40 shots all season on average in front of a team that cannot play in the third period without giving up goals or a push from the opposition. Forgive me for laughing but before the Caps win Monday, Halak, sat for thirteen days, he's not going to get to any level sitting. On the flip side management had every right after Halak's injuries/surgery to give Berube NHL money, and have insurance in case he got hurt again in a career where he has not proven durable or has been traded at times he was starting/winning. Berube knew exactly what he signed up for here (NHL money-one way contract) and could have refused to sign, to go earn AHL money elsewhere. Sorry, but no good answer here. Berube is not Martin Jones in terms of prospect potential, and needed more work when the Kings risked waivers, and now needs much more at AHL level. Kevin Poulin was claimed by Tampa, but already signed here so it was not like Snow went looking to upgrade his backup goalie spot. Not sure if another team claims Halak, given his cap-hit, and another year on contract, which means McAdam with his 7-0 start, Williams go back to Missouri, or Chris Gibson leaves when he's finally healthy. Halak's the New York Islanders best goaltender, the shots against this team is facing is not on the goaltending, and sure Halak struggled vs the Wild, but enough to be placed on waivers after sitting for 13 days (before beating Caps) splitting the net with two other goaltenders? No. Numbers do not lie. 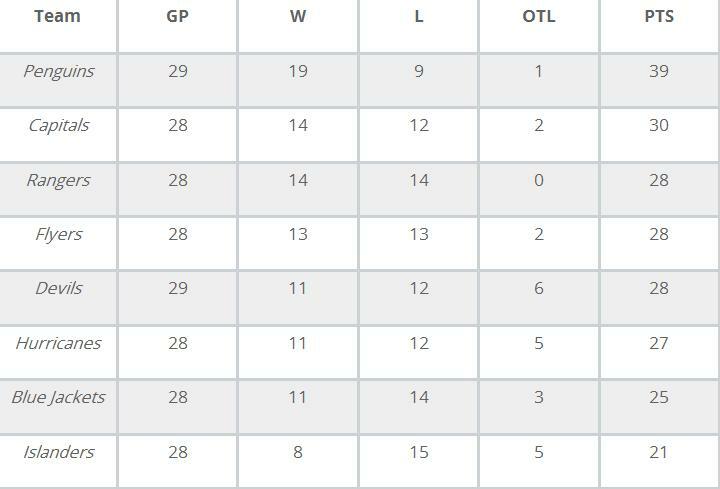 Thirteen points out of the playoffs, given road schedule coming late in season, and RW's not available last summer simply make a playoff comeback not realistic. 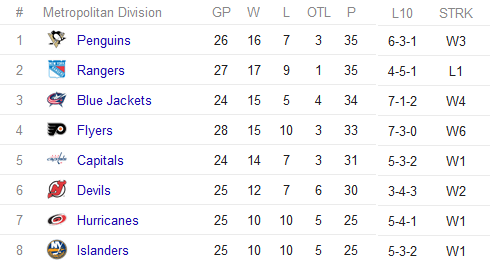 They are not chasing Boston/Ottawa for 3rd in their division. That means our fans have to wait until April 2018 for a playoff game at best, which could well be the final season in NY if an opt-out notice is delivered by Prokhorov 1/31/18 so it's a very bitter pill to swallow today. No, I do not believe Ledecky-Malkin bought this team to move it out of New York or ever move it back to the middle of nowhere in Nassau County, despite a dying media trying to keep them out of NYC. The Ledecky-Malkin (max payroll or not) fate as owners with the public will be decided if Snow or Capuano are retained, both have had their chance, fair or not, the expectations were not met or close for the money spent. They stay the fans will entirely tune them out, same as they have not supported this team full time since 1988. If they do not understand this they are not the right owners, despite how outstanding Mr Ledecky has been with the fans/alumni, he's at these games cheering, a few folks who sat with him in Florida made clear he was furious when they lost in final seconds. Scott Malkin said their reputation were like hockey players in 2014, they bump and crash into things, time to see a little bit of that side, in a sterilized NHL, this does not mean hiring or firing people in December, with everyone working for other teams who have the best resume who could be available later. Wang kept Milbury under different circumstances in 2001, he was given a payroll increase, and his team made three straight playoffs. The first year he lost, he resigned in January 2006, but stayed on through the end of the season. Wang made clear he was clueless finding a replacement or told to hire experience, afraid to trust his instincts with Snow. Snow's had over a decade, Capuano's had a long run for limited results. Ledecky is a former minority NHL owner, between that and his listening tours for the last two plus years, it's time for a completely new direction at the end of this season in the hockey ops department. Sorry, but I come from a different generation, don't need any analytic or metrics. In my era many teams had a coach/gm in one role, not ten people or big names with no experience. Yes, I'm talking about Lafontaine, Shanahan, Linden, Davidson, even Yzerman. Enough president's or vice president's of hockey operations or assistant gm's which is a fancy word for a hockey committee made up of people with little experience. Sadly, I do believe this team is going heavy analytic or money-puck. Too many players moving around from center or played out of position, the one natural right wing is Clutterbuck for those who want to blame Chimera, Strome or anyone else put on right wing. Do I think the players tuned out the coach? No, given how aside from three games against Tampa they had a realistic chance to win every other game in the third period, and what they did winning those 5/6 games, getting 11/12 points, and still losing ground on teams in front of them? The goaltending has kept them in every game, too many times this team/defense faces 30+ shots, the low maintenance 2-1, 3-2 wins surrendering less than 25 shots do not seem capable from this roster. With the names on this defense, that's inexcusable. Has it been long overdue to find a coach who does not say "for whatever reason" when they always play with games on the line like they are waiting for the roof to cave in? Yes, and 29 other teams know it going into every third period on a roster now with some Stanley Cup winner who came from teams who were good at closing out games. Smarter fans also understand what Capuano tells our joke media, and what happens behind closed doors is mostly far different. It's also about time some prospects come up and become top players getting league-wide attention for their break through or some veteran UFA to improve here, not regress into oblivion. The touch here with Moulson, Parenteau, Grabner, Streit, and others has been absent with prospects despite the 25 goals from Lee, Nelson's production, Strome's 50 point year in past. How come Quine who looked like an NHL player ready to put up 20 goals last April, has regressed? Same for Beauvillier, who's a left wing/center, who prefers center, but plays right wing? Aside from Okposo's production on right wing (which was very spotty for long stretches) the players who left are not producing much, and were good at losing games in third periods for many years themselves. Ladd for what he's paid should swim or sink with Tavares. Lee is finally getting his numbers without being on the top line. Bailey for as well as he has played, simply does not produce enough, and he's been good. 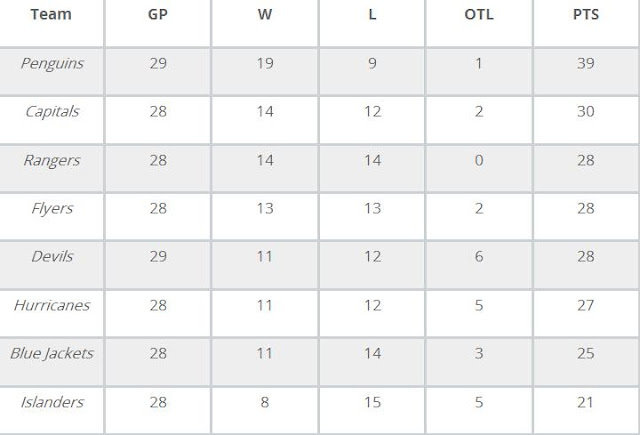 Moving ahead we have seen several good Islander teams win with no pressure late in seasons, we'll see who steps up on a team that will largely return in 2017-18 given almost everyone is signed beyond Greiss, Berube, Seidenberg + expansion draft losses. Does it mean a lot if this team plays ten over from here, and finishes strong? No, given so many 34-37-11 seasons where they were great only to start losing again the next year. Ladd/Boychuk will be a year older with Chimera/Clutterbuck. Let's be clear, there is a reason many teams in this league are out of the playoffs five years or longer once they fall back or some see the playoffs once in a decade. That cannot happen here anymore. Not going to write he took a discount but this is the market, and this is one of Tavares core players so never a bad thing to keep him happy now that his best friend Okposo is gone. I guess he can be scratched from the list of players who do not like playing at Barclay's center.